The Ultimate Guide to Minecraft Papercrafts! After quite the search for a Minecraft Papercraft instructable, I was a little shocked to see there were almost none- so i went on a quest to bring justice to the inkjet printing, paper folding, and pickaxe picking communities. With that said, onto the instructable! I think at one point or another, we're all wanted to have a bit of Minecraft in our everyday lives, and with Papercrafts, now we can! Weather you want a creeper to sit peacefully on your desk, or a pig riding Steve above your computer, with this instructable, you'll learn how! 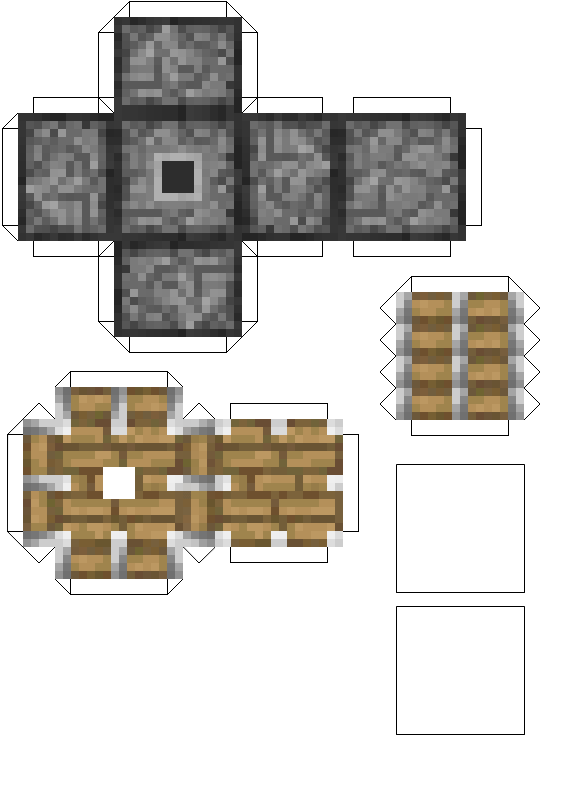 Before we can start 'crafting' our miniature blocks and mobs, we need to find a template for what we want to build, to help you out, i've compiled a multitude of templates, ready to print, for you to use. Just pick what you want to create from down below, and save it. When your set, check out step two. Oh, and in the parenthesis is the difficulty of the craft, for the most part these are easy, but some can be a bit more challenging! NOTE: If you are getting 403 errors try going here! You should be able to make the picture any size you want now, so grab a corner, and drag it to the other end, once it's full sized, Print! Then click File, and Print! and you should be set! Ah, so you've stuck with it this far have you? Well, i can asure you, the payoff is soon to come! But before that, we need to make some Cuts, so break out the scissors, and prepare for step three! After you've cut out your Papercraft, your going to do a few folds before we start to glue. After you fold a few folds, it'll be a lot easier to see how the rest fit in, and soon you'll end up with a box ready to glue! Here we are! Almost finished- you got dis! After you glue together each piece of your Papercraft, make sure to give them an hour or so, to dry. After that, you'll all set to move on! Now that we have our body parts set, we need to put them together! Here's the fun part, simply dap some glue onto the spots that will be connected to other parts, latch them together, hold.... Then PRESTO! You have yourself one mighty fine looking Papercraft, if i do say so myself. Hopefully you guys ended up with some pretty sweet Papercrafts, but if your stuck, or need some help, leave a comment, and i'll try to help you out as fast as i can. Can I strengthen it with cardboards? Just wanna make it sure. you can if you do it right. Can you give pictures about how to make the piston? Hello, i have a birthday party coming up in Dec. and i want to send out a creeper head cube invite that you can unfold. 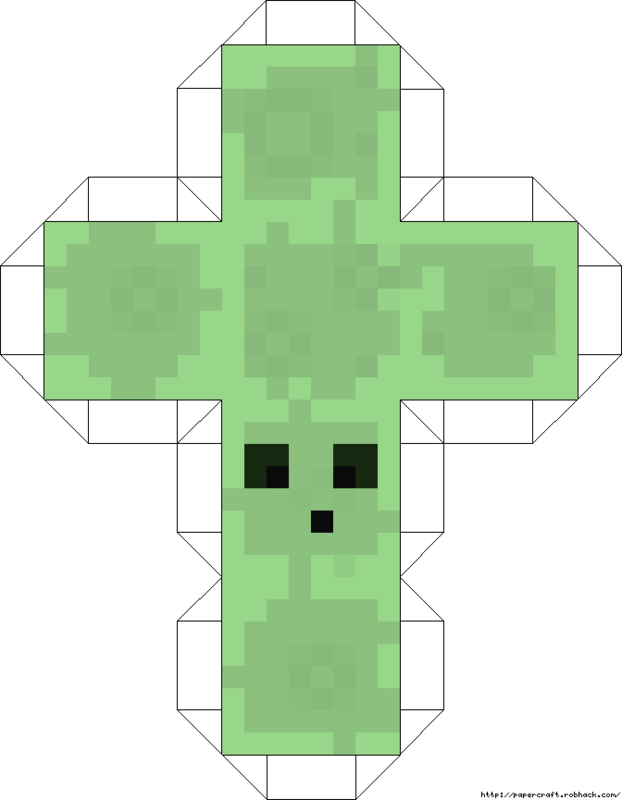 Can you see if you can send me a printout with the creeper colors aready on it and when folded up it needs to be the size of adult hand palm. My email is onefamilylove14e@gmail.com thank you so much! When I try to upload my skins file it says that the file i have chosen was an invalid image? Am I doing something wrong? What type of paper should I use for the origami? What type of glue do you use for your paper crafting? I am doing a Minecraft birthday party for my son and trying to make it amazing! I use PVA glue, which allows for easy application and some repositioning before it sets with a permanent hold. how do you make the flame block? I think all of those look cool.